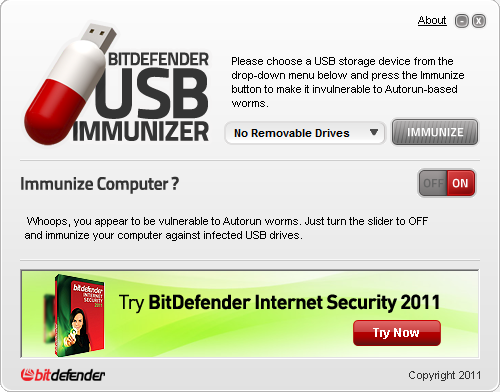 The USB immunizer is BitDefender’s response to this growing issue. The Immunize Computer slider allows you to toggle the autorun feature On or Off for any removable media (except for CD/DVD-ROM devices). If you accidentally plug in an infected USB drive that has not been immunized, the computer will not auto-execute the piece of malware located on the USB storage device.